Bring the seaside indoors. Like a jewel glittering on the beach, these beautiful seashell and starfish are a masterful mix of embroidery, beadwork and luminous mother-of-pearl buttons. 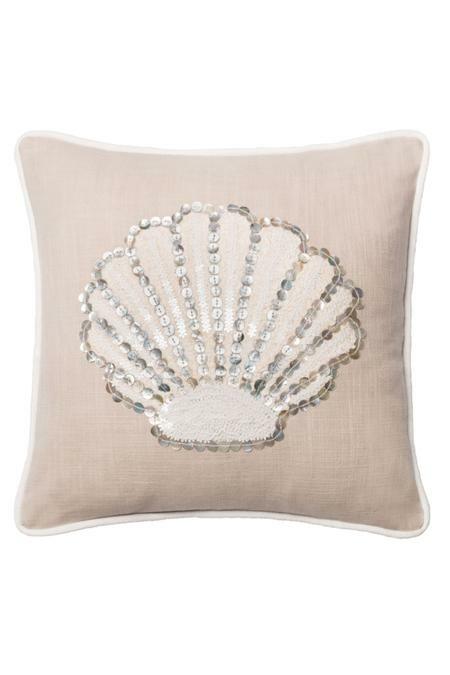 Set against a sandy ground of textural cotton, it's framed with contrast cording. Lofty poly fill insert included. Mixes embroidery, beadwork and mother-of-pearl buttons.